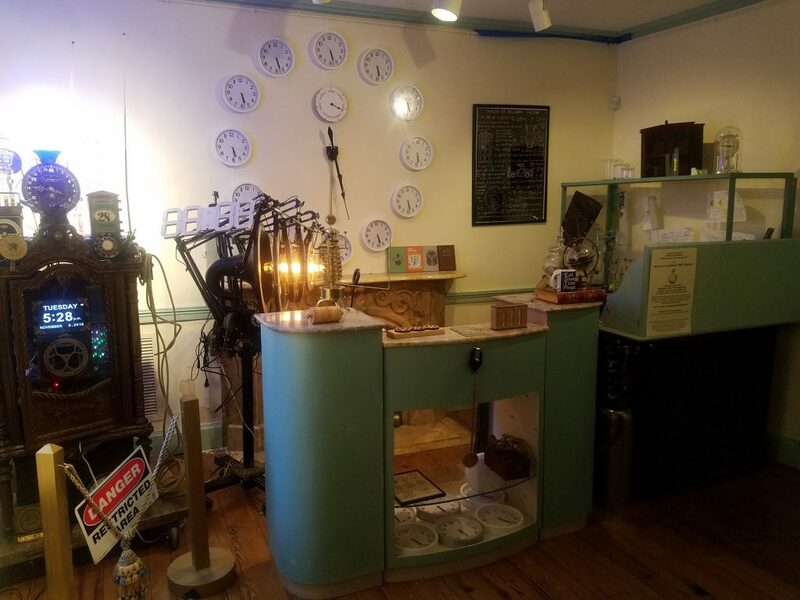 The Escapement Time Travel Agency has been setup inside the Peale to oversee reservations, distill the necessary fuel for Time Travel, and manage operations of our Time Travel Tours. Reservations for Time Travel Tours can also be made online here. After activating our 200-Year Time Machine, embark on a guided tour of Rembrandt Peale’s study in the year 1819. 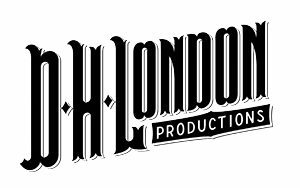 Time Travel Tours are currently led by David London, a storyteller, historian and Certified Time Travel Agent, who will accompany you on your journey, and illuminate the many wonders you will encounter. Need a quick escape? 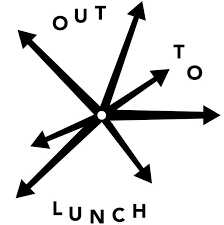 Lunchtime Time Travel Tours are currently being offered from noon – 1pm on Friday afternoons. 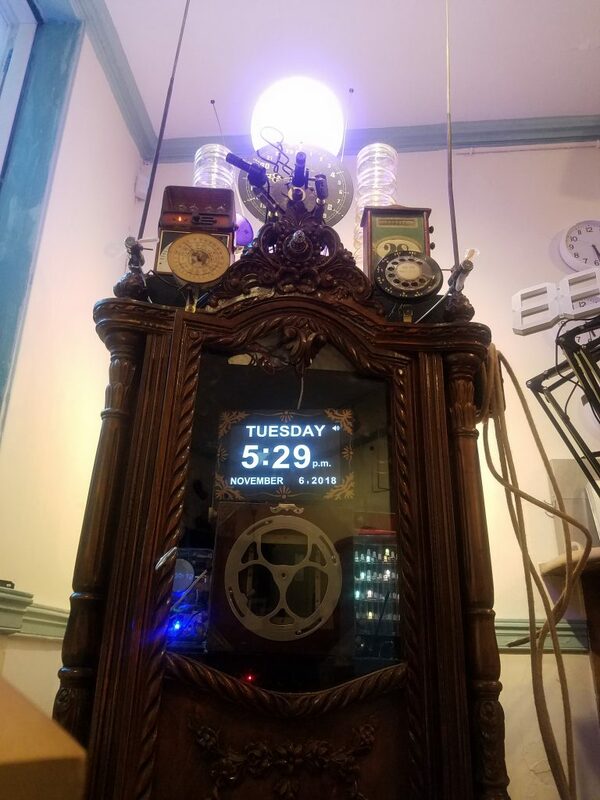 After a brief overview of our time machine, enjoy a quick reprieve from your workday by traveling back in time. And when you return, you will be one-hour closer to the weekend! 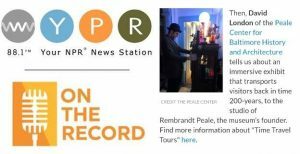 Enjoy all the perks of our standard Time Travel Tour, but spend an additional 30 minutes in Rembrandt Peale’s studio to enjoy tea, crackers, cookies, jokes, and a brief magic performance by tour guide David London. 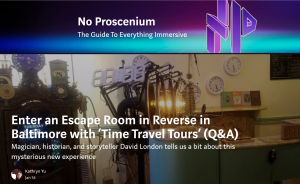 CLICK HERE TO RESERVE YOUR TIME TRAVEL TOUR TODAY! or call 1-866-TME-TRVL to speak with a Certified Time Travel Agent. Don’t see the date and time you are looking for? 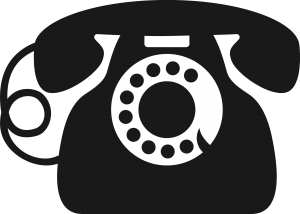 Contact us to schedule a private appointment and pick a time that works for you! On select Sundays at the Peale, and during special events, drop-in Time Travel Tours are available for $1 per minute. When making your reservation, please consider a contribution to our “PAY IT BACKWARDS” campaign, to help provide Time Travel Tours to those who may not able to afford it. Reservations for Sunday Tea Time Travel Tours automatically include a contribution to support these efforts. 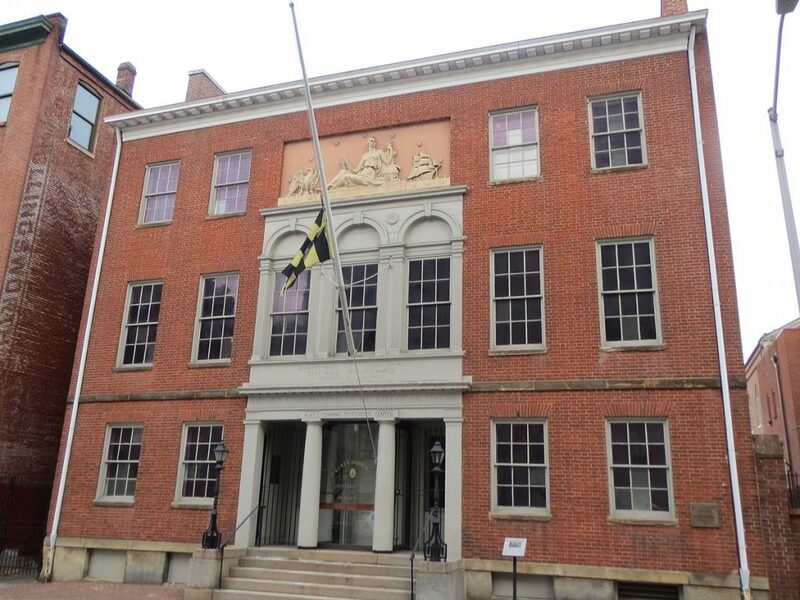 The Peale is the oldest building in America built to be a museum. 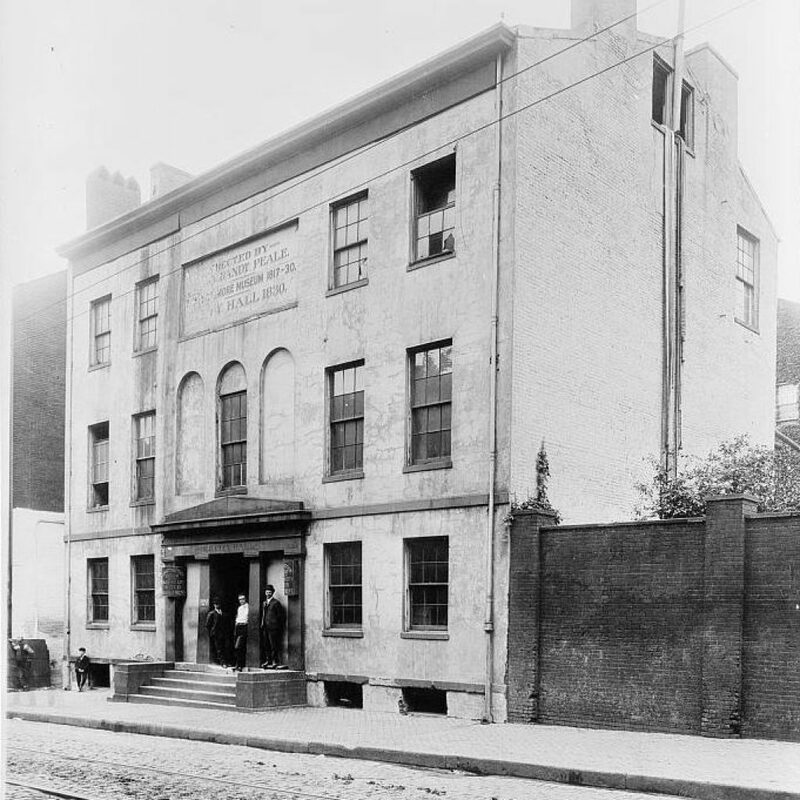 Opened in 1814 by Rembrandt Peale, and later taken over by his brother Rubens Peale, the building served as Peale’s Baltimore Museum for 15 years, until 1829. Rembrandt Peale (February 22, 1778 – October 3, 1860) was an American artist and the founder of Peale’s Baltimore Museum and Gallery of Fine Arts (opened 1814). 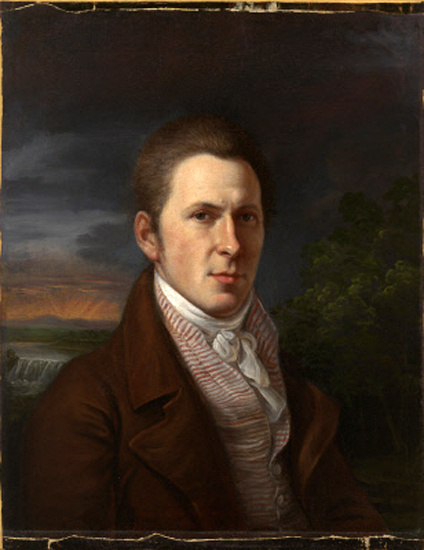 He was one of twelve children of Charles Wilson Peale, whose family is often considered the first family of American artists. Throughout his life, aside from operating the Peale Museum in Baltimore, he painted portraits of some of the most famous Americans. 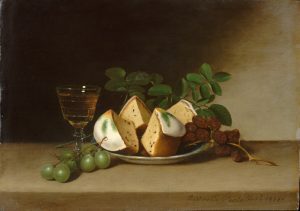 Learn more abour Rembrandt Peale here. WHAT IS THE IDEAL GROUP SIZE FOR A TIME TRAVEL TOUR? Time Travel Tours can be booked for between 2-10 Time Travelers per tour. 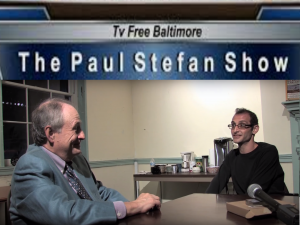 The idea size is between 4-8 guests. HOW LONG IS A TIME TRAVEL TOUR? 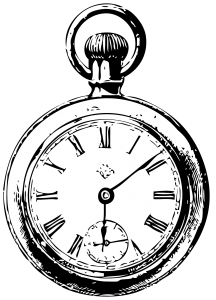 Standard Time Travel Tours are 90-minutes in length. Friday Lunchtime Time Travel Tours are just under 1 hour, and Sunday Tea Time Travel Tours are 2-hours. 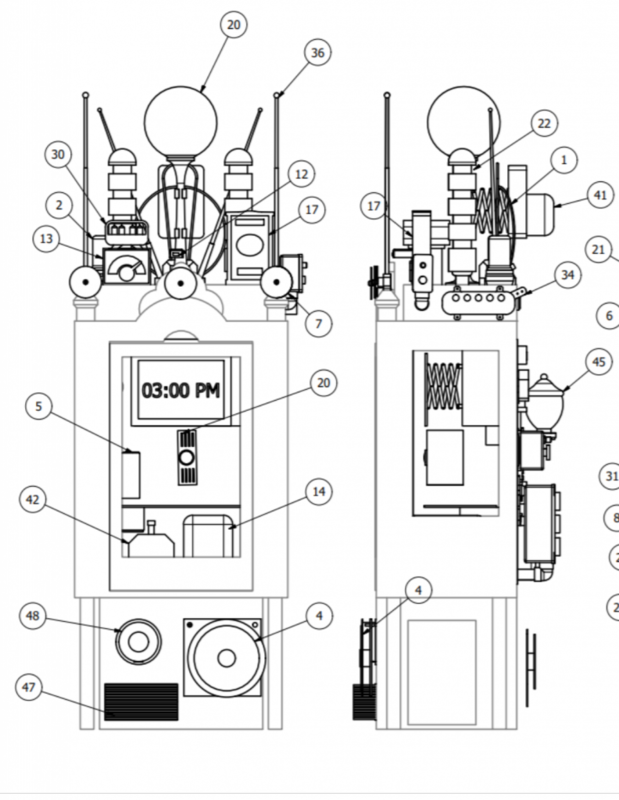 Our Time Machine has been thoroughly tested, and safely and successfully offered tours to hundreds of guests. 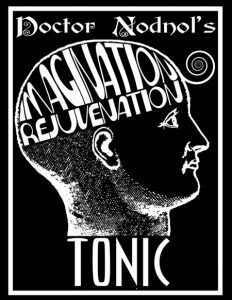 Occasionally Time Travelers report slight feelings of Time Travel Sickness, but recovery is quick after returning to present day, and no long term effects have been reported. PART PUZZLE, PART EXHIBIT, PART PERFORMANCE, TOTAL IMMERSION! 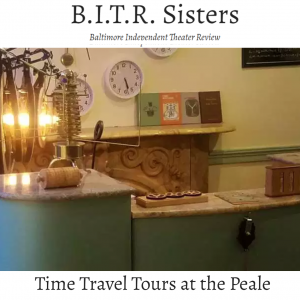 The Time Travel Tours experience is an interactive exhibit that engages with the history of the Peale and its founder in 1818, and connects certain aspects of that time to ours and to the future. For more insight, check out the links below.  To reach the Escapement Time Travel Agency, please complete the form below. The Escapement Time Travel Agency is currently seeking experienced Time Travelers to assist with Time Travel Tours. Interested and qualified individuals are invited to attend an informational session, being held in the historic garden at the Peale Center last Tuesday, at 5pm. All of our Certified Time Travel Agents are busy right now, but we will get back to you in the very near future.